All fees are contingency based. If we don't win, you pay no fee. Klein Lawyers LLP is a Vancouver, BC based law firm that represents plaintiffs in car accidents in British Columbia. Our extensive team of car accident lawyers, paralegals, road investigators and support staff are on your side when you need representation against ICBC. 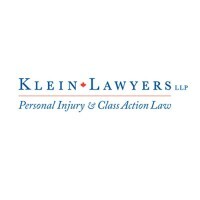 The Klein Lawyers LLP Class Action practice is led by David Klein, one of Canada’s foremost class action lawyers represents class action claims across Canada. The firm has represented people against small and large organizations winning millions of dollars in settlements. Current cases include high profile cases such as Dermalive, Propecia, Zimmer Hip Implants, Depuy Hip Implants, Biomet Hip Implants, Paxil, Champix, Tranvaginal Mesh, & Whirlpool Dishwashers.